The box looks so simple in broken white coloured. Though it's simple, it has more than enough information about the product inside. 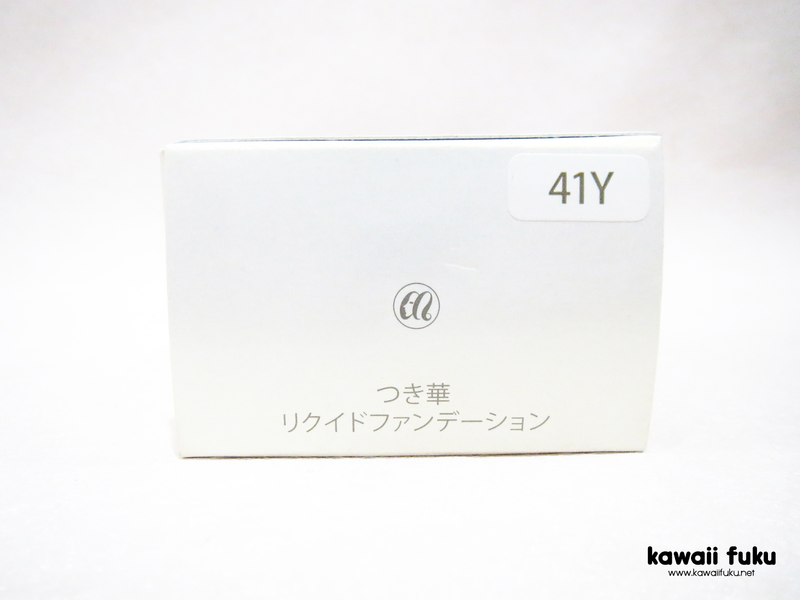 Once you look at the box, you can find the product name, type, volume and its brand. 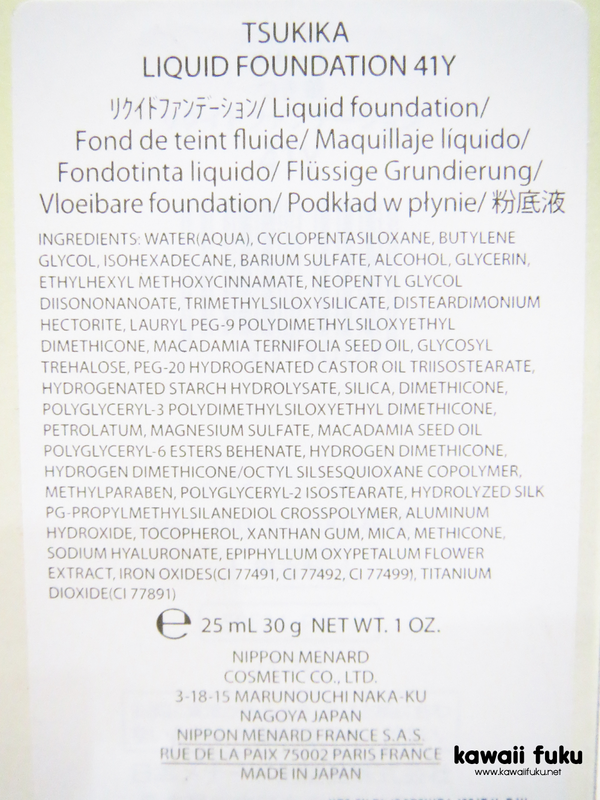 On the back of the box, you can find the ingredients of the product. Don't worry, even though this is Japan's product, but it has information in English. And as you can see on the ingredients, water is the first ingredient that written there. 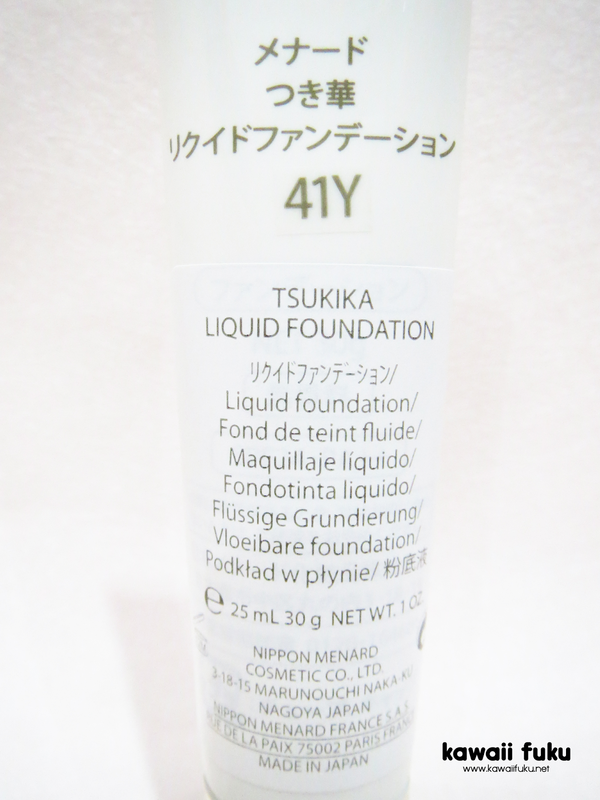 It means that this foundation is water-based. Water-based foundations are best for those who have normal to dry skin. If you have oily or combination skin, this one may not the best foundation for you. 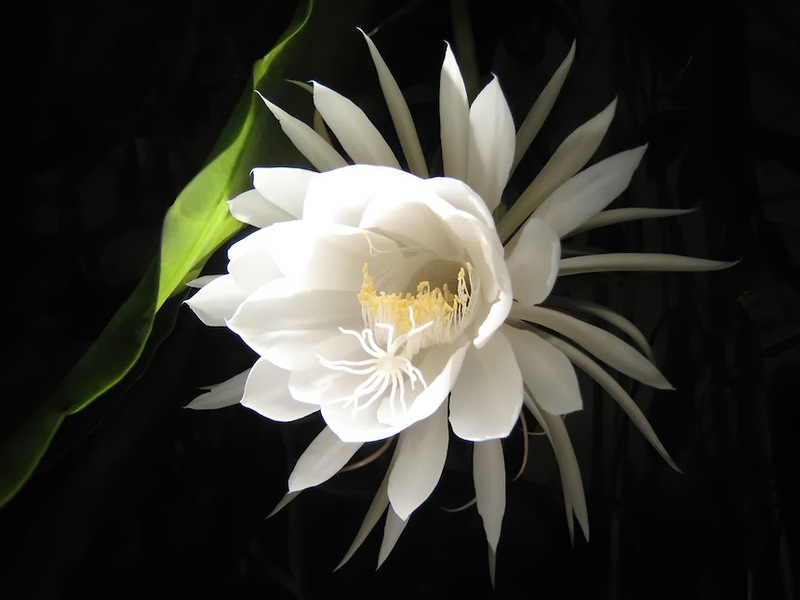 Tsukika foundation contains Night-Blooming Cereus flower extract as the main ingredient. It's a rare Japanese flower proven to make the skin looks moist and supple. Fine Repair Powder can filling open pores and ensuring smooth skin. Bright Pearl Powder can concealing dullnes and making skin brighter and clearer. On the top of the box, you can find the shade information. Do choose your shade carefully. I strongly recommend to not buy foundation online. 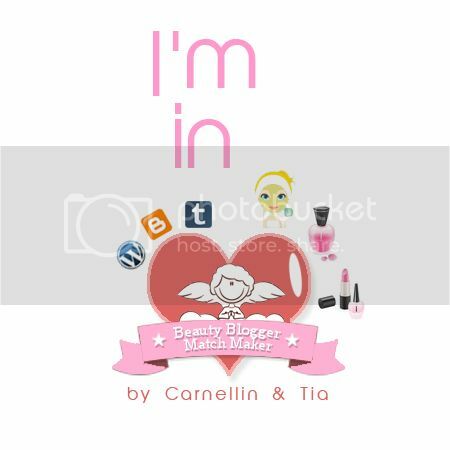 Go to the counter and let the BA (beauty advisor) help you to find the match shade for your skin tone. Don't waste your money for buying foundation that not match with your skin tone. 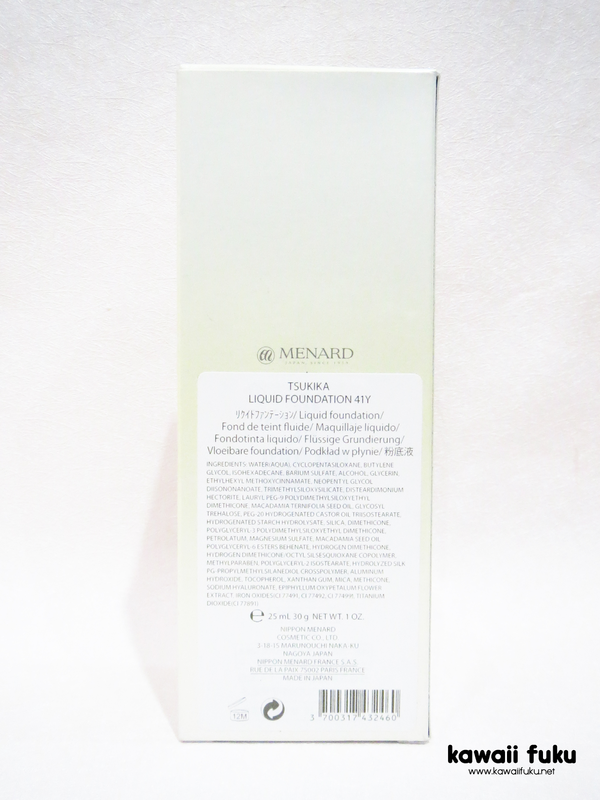 Tsukika foundation has 8 shades available ; 22, 23, 41, 41Y, 44, 51, 52, 52Y. I got mine in shade 41Y. What's the difference between Tsukika foundation with others foundation? 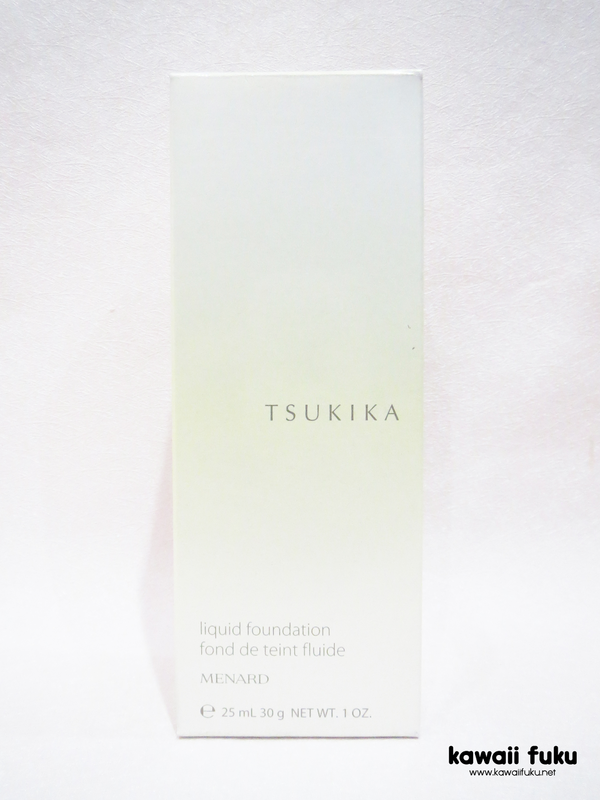 Tsukika foundation can covering pores and ensuring smooth skin. It also can concealing dullness and making skin brighter and clearer. And because it's water-based, it can keeping skin moist and supple. 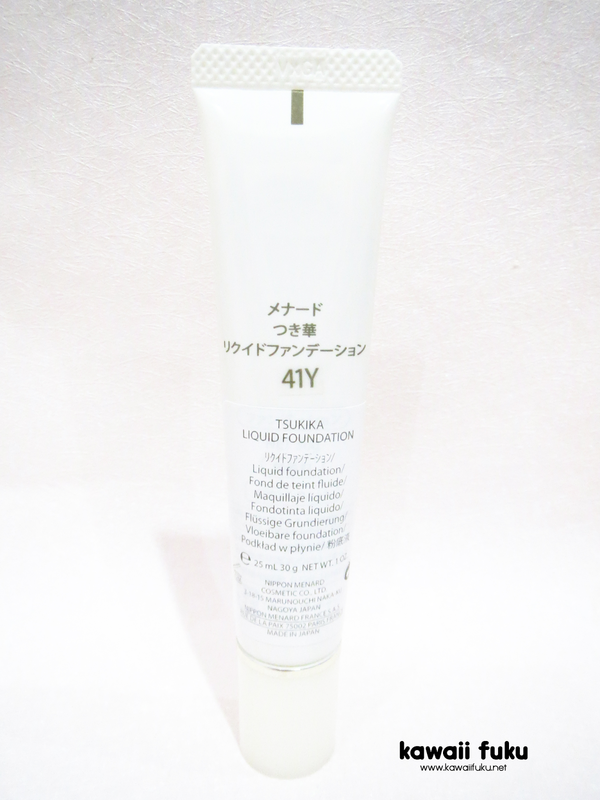 Tsukika foundation can protects skin from UV rays because it contains SPF SPF 24 and PA++. SPF will give you protection from UVB rays that affect the skin epidermis. 1SPF represents 20 minutes. SPF 24 means it will protect skin for 8 hours. PA will give you protection from UVA rays which affect the dermal component of the skin. Good news, it also fragrance-free! mostly my foundations are in bottles with or without pump. The tube itself looks simple with white colour covered all its part with a silver lining on its cap. On the back side you can find a sticker with information in English. Contains only 25 ml doesn't mean it will run out so fast. You just need a little amount of it to cover the entire face. The tube was sealed at the first time I open the cap. Just peel it off and voila you can start to using this foundation. Hygiene comes first! 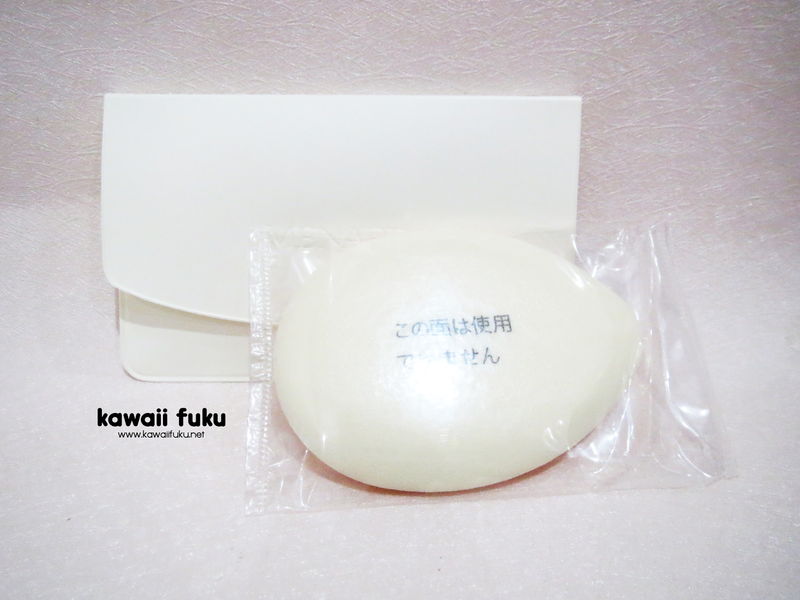 I really love it when I saw that the sponge was also packed in a plastic, even though it's already put inside a pouch. 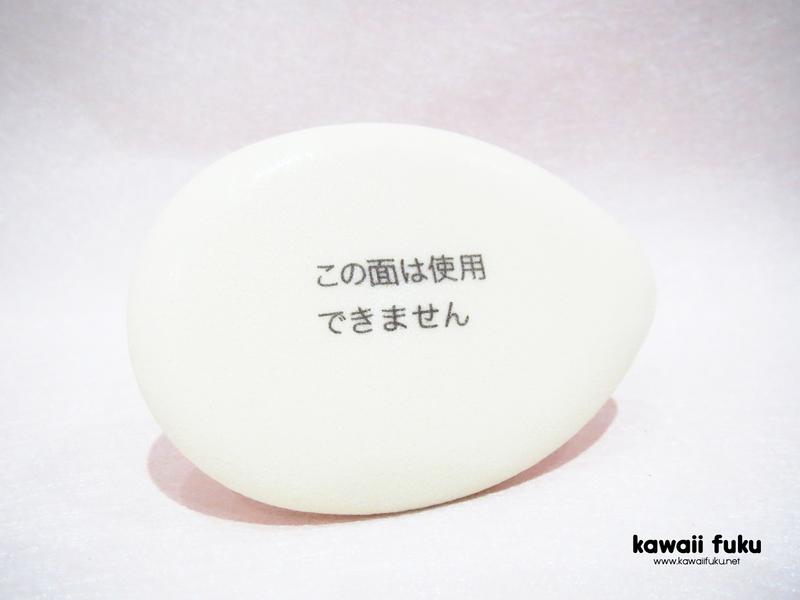 The white surface of this sponge has some kanji words. FYI, it says "don't use this surface or don't use this side." 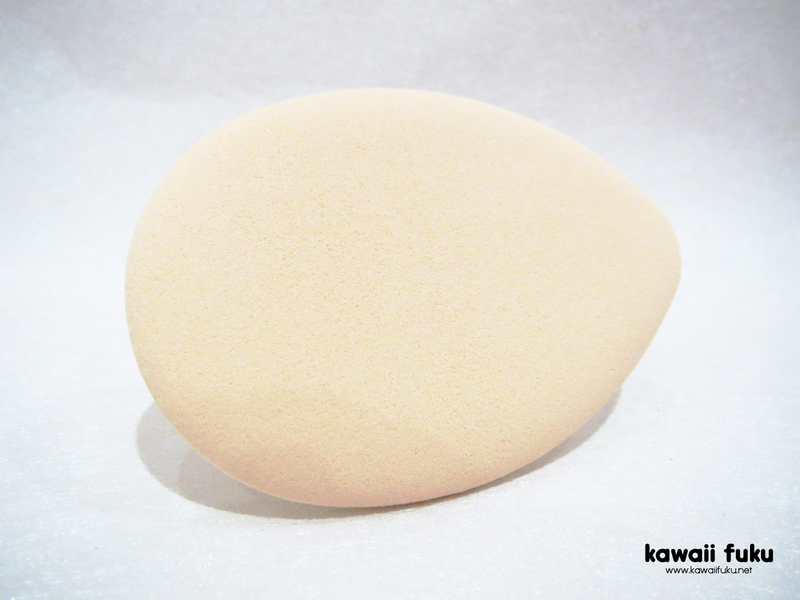 Then you should use this surface (cream side) to apply the foundation on your face. The BA told me that the best way to apply this foundation is by pat the sponge on your face, not with the foundation brush. That's why this foundation comes with a special sponge. Blend the foundation with tap motion. It will give you the best result. Here's the swatch on my hand. For your reference I have yellow undertone and my skin tone is NC25. This 41Y shade blends well on my skin. 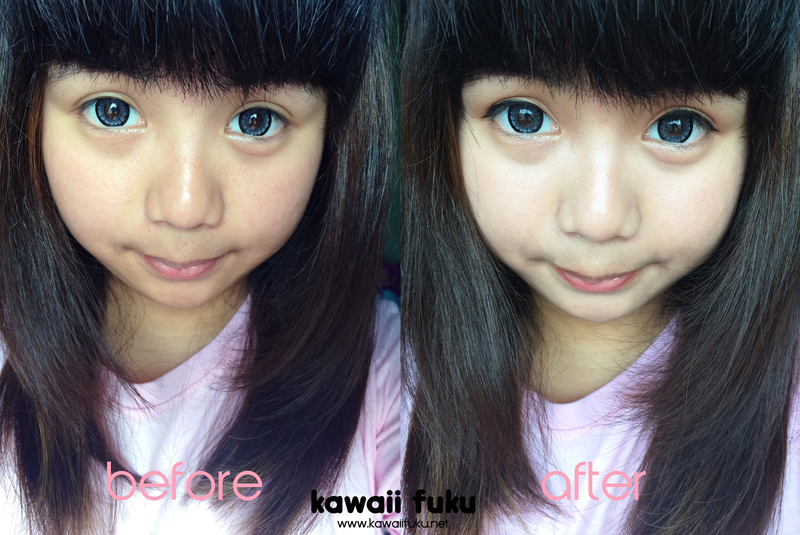 This is the comparison between my bare face and using (only) Tsukika Liquid Foundation. This foundation covers my pores (though I don't have such a big big pore) and redness very well. It also remove dullness and make my skin more even. It gives glowing finish on my face. I think this foundation has medium to full coverage. Overall I like this foundation because it doesn’t make my skin becomes more dry (basically I have dry skin). The staying power is also good, use it for about 10 hours and it still stay on my face at the time I want to remove my makeup. At last, I recommend this foundation for those who have dry to normal skin and for those who want achieve flawless glowing skin with less effort.